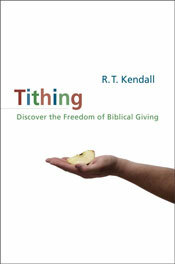 I Just finished the book “Tithing”, by R.T. Kendall. 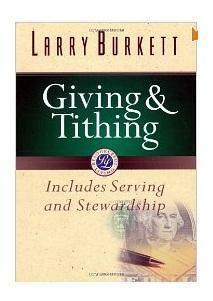 Of course in this book is the same old arguments for tithing. But one thing that was improvement from this book to the book by larry burkett about tithing was that it had actually went into deeper detail about tithing. Of course the principles of giving are all true in this book, but of course i disagree with 10% mandated giving. You see, most humans see the need for boundaries, otherwise their is anarchy. I agree. It is important to establish boundaries for one’s life so that we can reach levels of discipline and consistency. My argument is where we get our boundaries from. Do i think it’s fine if you’ve chosen 10% as your level of giving. Absolutely! I would encourage you in that mark. Do i think that we have to obey the laws that were prescribed for Israel in the Old Testament? No. Do I think that the tithe is prescribed for the New Covenant Church? No. It isn’t and there is no debate about that. Many people think that what i’m saying is just excuses for not giving. Yes, to some, spirit led giving is used as a cloak to hide the motives of their true heart towards giving. But then again tithing can be used as a cloak as well to hide the motives of ones true heart towards giving. Whatever fault that you can find in spirit led giving can be found in tithing as well. Here are a few instances. Many people say that most spirit led givers have a hard time actually obeying what the spirit tells them, so tithing helps guide us in giving. I say that the law of tithing didn’t make Israel listen or obey either. Another instance is when people say that spirit led givers don’t have faith in God for their finances. So i say does it take more faith to give what is already known or to give what you don’t know of yet? In conclusion, i don’t want to discourage anyone from giving 10% to God, but i do want to challenge you to practice more faith through spirit led giving. A person’s life should not be praised by himself. Praise should come from others. Having personally known RT Kendall and his horrific cruelty to sincere God loving christians in the past, I don’t think we should even bother discussing his writings. Commanding a tithe after Christ redeem us from the curse of the law and took the law out of the way by nailing it to His Cross is promoting a Cult practice that is stealing the Lords glory. They are erroneously teaching to exalt their own works of tithing as a means of obtaining Gods blessings & favor while diminishing Christ His finished work on the Cross. Mr. Kendall the precious blood of Jesus has freely given me health, deliverance and prosperity. My faith is not in what I can pay God (ten percent) but on what Jesus paid for me on that Cross. He did not have any praise for the Pharisees who were tithing under the law, even though he had not gone to the Cross to fulfill the law for us. Yet he said the weightier matter was love, justice and honesty. I am so disappointed in Kendall that I cannot read anymore of his books. Does he not know that some Pastors call poor people cursed who cannot tithe and will not let them volunteer in Ministry? I pray this Spiritual abuse of power will end in Jesus mighty name! The whole law of Moses had to be kept not just the tithe law. It was not possible to keep all those laws which were given to the Jewish nation, not the none Jews. They were not even allowed into a Covenant relationship but were outsiders. The penalty for breaking almost all of the six hundred and more Jewish laws of Moses, if caught was death by stoning. They falsely teach tithing was before the law, well so was circumcision.Are they still commanded this for Covenant and right status with God? Abraham gave one tithe and they twist it like it was ongoing. In Duet.14:22 Tithing was food not gold. They had gold because remember they left Egypt loaded down with Gold that God made the Egyptians give them for all those years of free labor when they were slave. Too bad they used some of it to force Aaron to make a golden calf which enraged God & Moses when he came back from Mt. Sinai. A blood sacrifice from a perfect Lamb was needed to pay the penalty of slipping in breaking the smallest ritual or commandment. Since this was not possible a Savior was needed. Which is why Jesus came and redeemed His people from the curse of (breaking) the law. Read the New Testament promises and also read Galatians verse by verse. Read Hebrews verse by verse which result in talking about a better Covenant in Christ than the Leviticus Priesthood. If people really study their Bible they will stop being ignorant of His Word and falling for any false teaching handed down from one generation to the next. Everything in the Old Testament was a type and shadow which only pointed to what Jesus would do. When He said “it is finished,” the veil of the temple that kept people out of the presence of God” (except for the High Priest on the day of atonement), was torn from top to bottom. Any one who has received Jesus into their heart as Lord & Savior has free access to God and can ask anything in His name. They also are free from the penalty of the Law which brings of sin and death. Jesus paid that penalty! We can ask the Father in Jesus name Matthew 18:19. If people are following Christ then they are not going to ask for things that displease Him, or for (carnal) material things to show off (or look important)like some false prosperity teachers may tell you like praying for a Rolls Royce, 10,00 Rolex Watch or Designer clothes & Jet planes unless the latter is to fly to poor countries to bring food, help and the Gospel. This is for Free folks! No cash Visa, r Master card or American Express is needed. Don’t listen to people who want to tell you you have to pay for any of it! Come boldly to God’s throne of Grace in your time of need and receive help and Grace in your time of trouble. Revelation 9:11 “On His clothing and on His thigh was written the name “Faithful and True”. God will not cheat on you like your lover or spouse may have done. Turn to Him in Jesus name, for free no tithe or payment is required just give Him your heart and the rest of what you need to do will follow. Without fear or force you will then want to voluntarily give when you see how awesome He is! Putting your hope in anything else including your own good works will result in failure and disappointments. Jesus paid it all on the Cross for you to be free, not bound by legalism or self-effort. Also Rev 19:16 faithful and true again! I love Kendall’s books with exception to this one. He has no New Testament Scriptures to back up tithing after Jesus went to the Cross. The law was then fulfilled paid for in full! 13 Christ has redeemed us from the curse of the law, having become a curse for us (for it is written, “Cursed is everyone who hangs on a tree” 14 that the blessing of Abraham might come upon the Gentiles in Christ Jesus, that we might receive the promise of the Spirit through faith. The above bible verse voids the Malachi 3:8-9 curse, wake up gullibles.